Some people with profound hearing loss have cochlear implants or do not utilize hearing technology at all and are a part of the Deaf community. 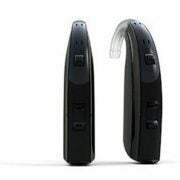 But hearing aids are still needed for others with profound hearing loss who are not cochlear implant candidates, or who wear a hearing aid on the non-implant ear. The best hearing aid for a profound hearing loss will be very different from the best hearing aid for someone with a mild hearing loss, or even someone with a severe hearing loss. The unique needs of the person with profound hearing loss must be addressed. We are going to break down which hearing aids are the best for profound hearing loss, why we believe they are the best, and some other things you should take into consideration if you have a profound hearing loss. When considering a new hearing aid you should always speak to a hearing specialist before you make your own decision. Our free tool can match you with trusted hearing centres offering the latest hearing aids. Our top pick for the best hearing aid for profound hearing loss is the ReSound ENZO2. The fitting range provides adequate amplification for a profound hearing loss, with linear, semi-linear, and WDRC fitting strategies for the provider to choose from. It comes in a Superpower BTE style with a 675 battery for longer life. 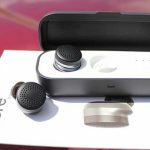 It is a Smart and Made for iPhone hearing aid which means it connects directly to iPhone, iPad, iPod Touch devices without the need for an additional accessory. They can also stream from other non-iPhone bluetooth phones with the use of the Phone Clip+. It is compatible with ReSound’s Mini Mic and Multi Mic accessories for additional help in background noise, includes a telecoil and compatibility with an FM receiver. 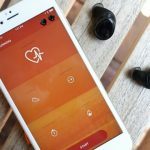 ReSound ENZO2 is currently the only super power hearing aid that is also Made for iPhone. You get the audibility you need with the connectibility you want. Stream phone calls ,music, and other audio directly to the ENZO2 hearing aids from you iPhone, iPad, or iPod Touch. Android users can also stay connected with ENZO via ReSound’s wireless accessories. For those with profound hearing loss, there are two BTE options, a Superpower BTE (BTE SP) and a Ultrapower BTE (BTE UP) is available with a 675 battery. It includes both automatic and manual programs for those who either don’t want to have to manipulate their instruments or for those who want more control. The DuoPhone feature allows for phone conversations to be heard in both ears, helping to improve intelligibility. The Phonak FM systems can be easily integrated with Naida for more help in background noise, or other difficult listening situations. It is very reliable, with an IP68 rating. Phonak knows how to do power instruments well. The Nadia B Superpower and Ultrapower instruments are Phonak’s 5th generation of power aids, which address all the needs of those with profound hearing loss. The only reason it is not our #1 pick is because of the lack of direct “smart” connectivity that the ENZO2 provides. 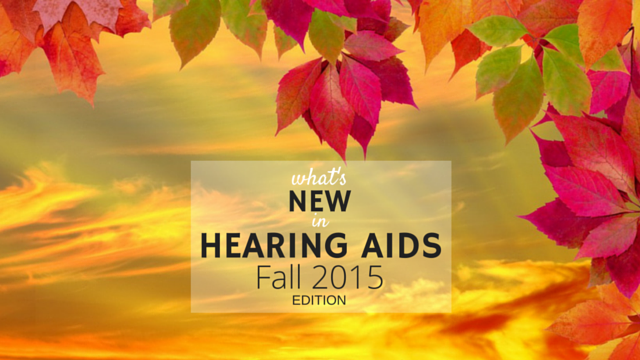 What makes a good hearing aid for profound hearing loss in adults? 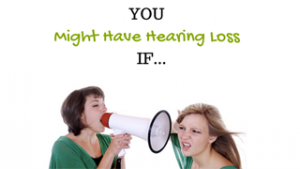 A profound hearing loss describes the severity, or level, of your hearing loss. With a profound hearing loss the person is unable to hear all or most sounds, including environmental sounds or speech sounds. It is considered a complete loss of hearing and can be present from birth or occur over time. A profound hearing loss is classified above the 90 decibel range. A person with profound hearing loss is considered deaf. While people with profound hearing loss are considered to be deaf, not all are a part of the Deaf (with a capital D) community. The Deaf community is a culture of those who communicate via sign language and may or may not make use of hearing technology. Most people with profound hearing loss undergo a cochlear implant evaluation, although not everyone with profound hearing loss is a candidate for a cochlear implant. Some people with a cochlear implant on one side, will also wear a hearing aid on the opposite ear, which is referred to as bimodal hearing. 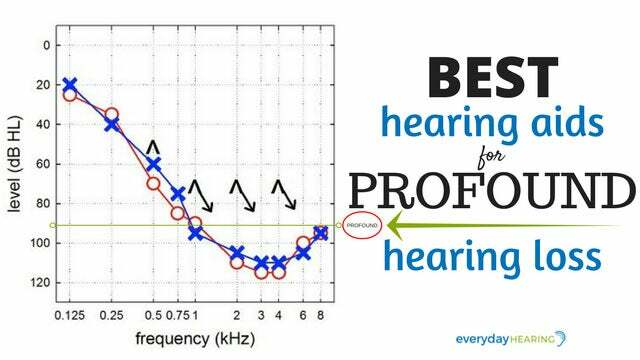 The most important thing that a hearing aid must provide for someone with profound hearing loss is sufficient gain without distortion or feedback (whistling in the hearing aid). Many people with profound hearing loss have very poor speech discrimination and make use of their hearing aids for awareness of the sounds around them. 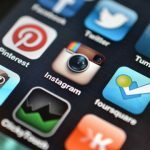 It is important that the instrument provides enough gain across the frequency spectrum, as many people with profound loss will be able to detect some frequency sounds better than others. They often prefer a more linear fitting strategy, which gives them a perception of “more power” in the instrument by not compressing any of the sounds. For better speech intelligibility, most people with profound hearing loss will need to pair an FM system or remote mic device with their hearing aids. This will allow them to pick up voices over the background noise, as well as overcome the effects of distance and reverberation. A hearing aid that can easily integrate with these accessories is a must. Finally, because people with profound hearing loss rely on their hearing aids every day all day, comfort and reliability should be taken into consideration as measured by the design and IP rating. One of the biggest challenges with fitting a profound hearing loss is providing the needed amplification for audibility without causing feedback or distortion. 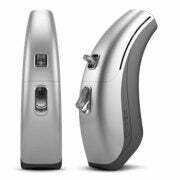 A Superpower behind-the-ear (BTE) hearing aid with a soft custom earmold is the best style hearing aid for a profound hearing loss because it can accommodate a more powerful speaker and larger battery. 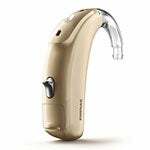 Product Description: Hear more speech details with Oticon's Superpower instrument that gives you access to a fuller spectrum of sounds. Product Description: A wireless receive-in-the-ear model combining a small size with super power. If you have a profound hearing loss, a cochlear implant evaluation is recommended. However, not everyone with a profound hearing loss is a cochlear implant candidate. If this is the case then hearing aid use is recommended. When it comes to hearing aids for those with profound hearing loss, your style options are more limited to either BTE or RIC styles. However, you still have the choice of which performance level you would like. It is important to keep in mind that you get what you pay for when it comes to hearing aid performance levels. The quality of sounds, particularly in background noise, is going to be better in a higher performance level product, no matter which of the models listed above you choose. Higher performance levels also mean higher price tags, so it is important to balance your budget and your hearing needs to get the best solution for you. A custom earmold is always necessary when it comes to fitting a profound hearing loss. The amount of gain needed in a Super power hearing aid requires a secure, custom fit in order to prevent feedback. A custom earmold is always necessary when it comes to fitting a profound hearing loss. Your success with hearing aids is going to be highly dependent on your speech discrimination abilities, particularly in noise. Even with the best hearing aid, poor speech discrimination cannot be overcome with hearing aids alone. 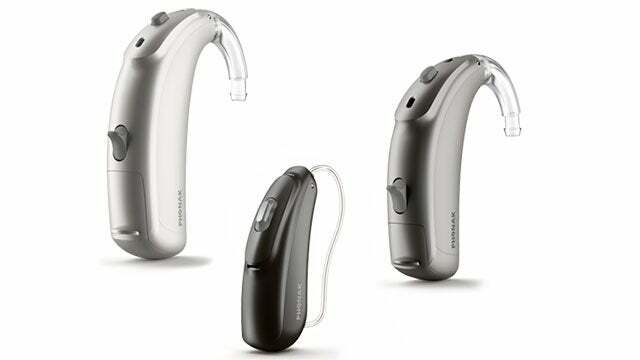 Those with profound hearing loss will need to also take advantage of some of the additional wireless accessories that are available for use with their hearing aids. FM systems, remote mics, telecoils, TV streaming adapters, and phone adapters are going to be important for enhancing the listening experience in these more difficult situations. Be sure to talk to your hearing healthcare provider about these accessories before getting hearing aids to be sure the one you choose is compatible. To find trusted hearing centres in your area, you can use our online tool. Also, keep in mind that there are some people with profound hearing loss who are a part of the Deaf community and who are not interested in any type of hearing devices, cochlear implants or hearing aids. That is the choice of them and their family and they most often make use of American Sign Language for communication instead of auditory communication. I am profound deaf and I used to wear behind ear aids on both ears . I no longer have them as they broke long ago and I no longer get them for free from Medical coverage that was cut by President Reagan. What I want or need now is a special kind of headphone that is equivalent to PC 2.1 speaker system , you know, with a woofer and two satellite speakers being fashioned into a pair of headphone with the woofer on top of head for complete experience on all frequency . I had fashioned some PC 2.1 systems with use of straps and tapes ,e tc .. It works great but I prefer to have it manufactured by some company for better comfort and mobility. I dont care for buying hearing aid battery cells as they are too expensive , anyway. I dont need to wear hearing aids for outdoors anymore but it would be nice if someone can fashion similiar headphones for using during driving to enjoy car stereo and so forth. 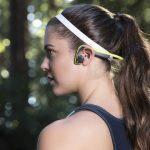 Lithium battery technology is here now and we can also fashion PC 2.1 headphones for hiking or other solo activities where I dont worry about disturbing other people with loud PC 2.1 headphones powered with large lithium battery pack strapped on my body somewhere. I do enjoy listening to anything and I dont want hearing aids or cochlear stuff at all. I forgot to add that I play drums so I would love to have such headphones that employ PC 2.1 systems. I am a candidate for a cochlear implant but I’m not ready to get one just yet. I have Siemens BTE for almost 10 years but I can tell I can’t hear with them like I did when I first got them. I can’t hear on the phone. I swim for exercise, it would be nice to have waterproof hearing aids. When I don’t have hearing aids in I really can’t hear anything. 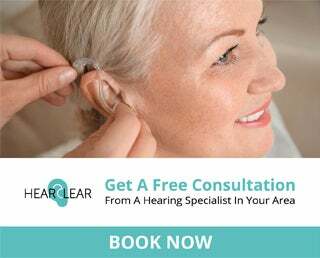 Which hearing aid would you recommend? How do you choose? I would have to wear them for a week and then try the next brand for a week to see if it’s better than the other? Everything is going to be better than what I have now buy how do I know if I pick the best for me? and that there is not another hearing aid I should of try, that would be best for me?? An audiologist would be able to recommend a few hearing aids that you should try. It is based on a lot of factors, not just your hearing loss. That is what the audiologist’s expertise is. You can ask them to recommend two different hearing aids that they think would work well for you and then do a trial with each before deciding which is better for you. Don’t wait to get that cochlear implant! I went from 7% hearing to 71% hearing with a Cochlear America 5 which they then upgraded to a 6 for free! I now have too many health problems to undergo another operation but I would do so in a heartbeat if I could. I am presently a Starkey wearer and my audiologist wants me to move up to the Muse. I called our insurance provider and they will only allow the Resound Flyte. I have been wearing aids since the 80’s and I am 81 years old. I have a profound hearing loss. I managed to get only 13 words out of 100 read to me. Advise? You could always do a trial with the ReSound aid and return it if it doesn’t work for you and instead purchase the Starkey or different one from this list out of pocket. Unfortunately 3rd party payers don’t always have your best interest when creating your benefits. I was born with profound hearing loss. I can’t hear anything. But when I use superpower unitron hearing aids, I can hear in severe range for 0 – 500 hertz and rest of them are no response. I have bilateral cochlear implants since I was 4. Can I still wear hearing aids if I don’t like cochlear implants? No, you will not be able to go back to hearing aids. Based on what you described for your hearing loss cochlear implants would be the best option for you. 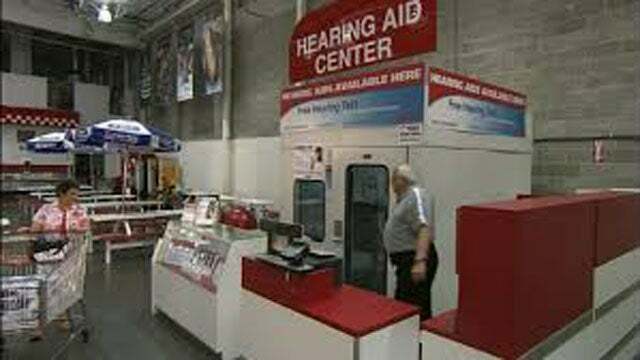 What are prices for Hearing Aids? 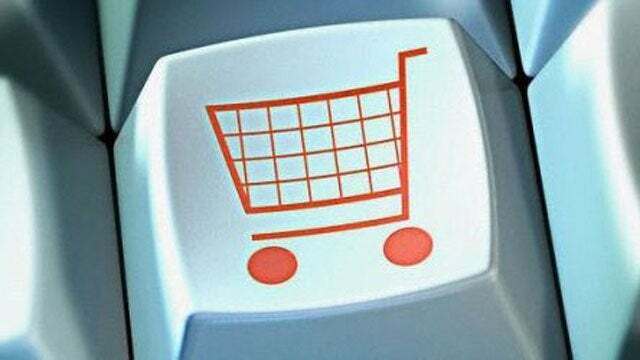 If you do not sell hearing aids what is the system to obtain one? I have most powerful hearing aid is Belltone but I do not like them. It’s got 131 db when I turn up the volume wide open there’s distortion and consumes batteries fast. I hate when I listen to music this aid muffled. 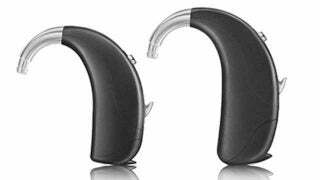 I need best hearing aid 150+ without distortion, good high pitch sound. I need behind the ear. Is there any difference in Resound Enzo model 798 and 598 other than number of channels. Yes, there are more differences than number of channels…the directionality and noise reduction feature capabilities are less advanced in the 598 than the 798 which may affect your speech understanding in noise. ReSound has launched new model in Enzo 3D. Is this suitable for profound loss. Please advise if cochlear implants or hearing aids would be best for my son who has been disgnose as being profound.sensuary hearing loss. I want my son.develop speech. I am a teacher of the deaf, If your goal is for your child with a profound hearing loss to access and develop speech, a cochlear implant is your best option. It is not a quick and easy fix….. he will need to listen for awhile and have his brain adjust, you will need to input input input speech and language ….talking constantly about what you are doing and naming everything. He will also need a good auditory verbal therapist and speech language therapist. Some families also choose to use sign language paired with speech, so their child will have multiple ways to access information especially in school. I have kids with CI’s who speak well and can hear speech but also use a sign language interpreter and note takers in class (older grades). Other students with CI’s use only their CI paired with a teacher worn wireless FM microphone to hear instruction. It varies depending on what the family wants and the child needs. Research and consider all options. Depending on where you live, seek out early intervention educational services. I have profound hearing loss in both ears and have been wearing hearing aids for approximately 23 years. I have had different types from different manufacturers. Frankly, I don’t like any of them as they are uncomfortable (yes, mine are custom mold), eat up batteries, and I still struggle to hear in quiet and noisy environments. I am currently using Beltone BTE with several accessories that are marginally helpful. Hearing aid trial periods are dependent on which state you live in, not the hearing aid manufacturer. I would definitely find out from your local Audiologist regarding the terms of a trial period.